Crazy Straws! 35 Pieces Just $4.79 SHIPPED with New Coupon Code! Use code A9W7YSCK to drop the price to $4.79! Cool stocking stuffer!  Straws come in a rainbow of colors including: purple, green, blue, pink and orange. Reusable Drinking Straws allow you to keep the party going!  Idear items to liven up a party; make drinking more fun and exciting for your children. 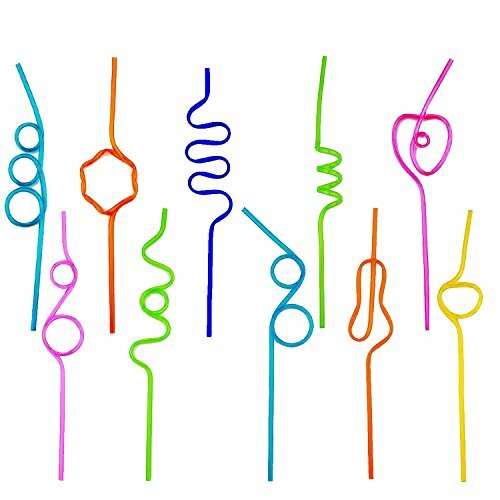  Features fun colored plastic straws with assorted bends and kinks. for kids and for adults alike. Every kid loves silly straws, especially these Plastic Fun Loop Straws. Place these straws in goody bags or as part of your table setting at your next party. HOT!! $40 off a Keurig!